It was late at night, with two best friends talking together. Mostly, one of them was doing the talking, while the other was doing the listening. "And, Craig just tells me they have a project to do," Wendy complained, "Everyday they do something together." Bebe shrugged while she listens to her friend talking about the two. They were sitting in Bebe&apos;s room. It got quite annoying about Wendy complaining from time to time, but it was so adorable when she thought Craig and Tweek together. Until, the point that she gone crazy and made people tell her what&apos;s happening or she stalks them. "I want to see what they&apos;re actually doing," Wendy said while getting up. "How?" Bebe asked, having an idea what Wendy might do. Wendy shrugged, and left Bebe&apos;s room, "Bye." Bebe chuckled as she imagines what her friend might be doing. She didn&apos;t have anything to do, so she decides to take a little nap, since she felt tired. She bets she has dreams that Wendy is stalking them from their window, which might be happening, but who knows? No one can predict a jelly girl&apos;s movements. The next morning at school, Wendy decided to go find Craig, which was most likely hanging out with Tweek. Wendy found Craig, which was talking to Tweek. That was so surprising she felt like going to the hospital by being surprised to death. She was capable of hearing what they were talking about. Clyde and Token was there, but not very much paying attention. They were too busy looking on Clyde&apos;s phone looking at Kirby. Just kidding, they were looking at stuff I feel too awkward to write. "What if you were alone and you were naked?" "I-I don&apos;t know! NNG! Is t-that the correct a-answer?" "Technically, no, but ok. Anyway, how was your underpants?" "I-I have to b-buy new ones." "Buy new ones what?" Wendy asked while she walked up to them. She knew what they were talking about, which was pointless to ask, but who cares? South Park is in Colorado, and Colorado is in United States. Freedom confirmed. 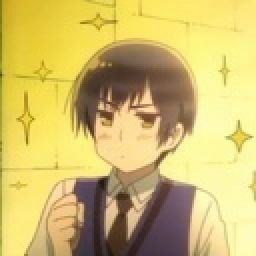 "N-Nothing!" 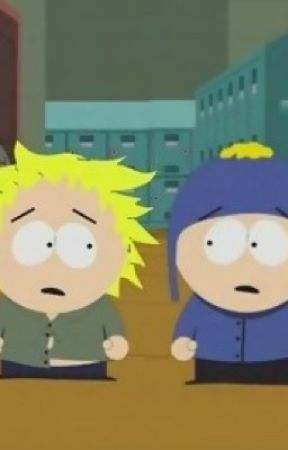 Tweek said before anyone could say anything. Token saw Wendy and being the gentlemen he is decided to welcome her, unlike the others who are rude. At least, Kirby isn&apos;t rude. "Hey, Wendy," Token said while putting his hand up as a wave. Now let us talk about something else. Wendy was glad there was someone nice enough to welcome her. She was starting to think about her boyfriends, which used to be Stan, then Token, then Stan, and now Craig. She still liked Stan, just not as much anymore. Craig looks like Stan, they&apos;re both raven-haired boys. She just doesn&apos;t see any birds in their hair, though. "Hello," Wendy smiled at Token before turning her attention at the two she was mainly focusing on. "So, I was wondering if we can go to the movies," Wendy said. It was awkward since the man of the couple was suppose to ask the lady. Instead, of the lady asking the man, that was like, their couple battery was down to 3 percent. There was no couple battery charger to be found in all of Colorado, so their iCouple would die. Like, all of the Kirby bosses that die and go to some place that people believe or not believe or something because I fail at romantic words and metaphors. "Me and Tweek--" Craig was interrupted by Wendy knowing what he was going to say. "Ok, bye," Wendy waved while walking off. Craig flipped her off by being cut off.